Why seek hearing loss treatment? According to the American Speech-Language-Hearing Association hearing loss is the third most common chronic health condition facing adults today. Despite being an incredibly debilitating issue many individuals delay seeking treatment out of denial fear or embarrassment. Individuals who suspect they’re suffering from hearing loss should seek treatment as soon as possible. Untreated hearing loss has been linked to a number of other health problems both physical and psychological. Untreated hearing loss also is linked to a variety of emotional problems including anxiety and depression. Individuals with hearing loss often have difficulty following day-to-day conversations and may begin withdrawing from activities and other things they enjoy. Untreated hearing loss can lead to social isolation and the decrease in quality of life if allowed to manifest for an extended period of time. In addition to the emotional and physical effects of hearing loss a study by the Better Hearing Institute found households with an employed individual who has untreated hearing loss makes up to $12 000 less annually. There are a number of effective hearing loss treatments available today including a variety of hearing aids to meet different individual needs. Please schedule with ENT Specialty Care to inquire further about these different options. Treatment for temporary hearing loss? Temporary hearing loss is generally caused by exposure to loud noises or music. Because temporary hearing loss usually wears off within a few hours treatment options are minimal. Ear plugs are advised to help prevent noise-induced hearing loss and should be worn because prolonged exposure could result in permanent hearing loss. Generally caused by a condition in the outer or middle inner ear conductive hearing loss is usually temporary. 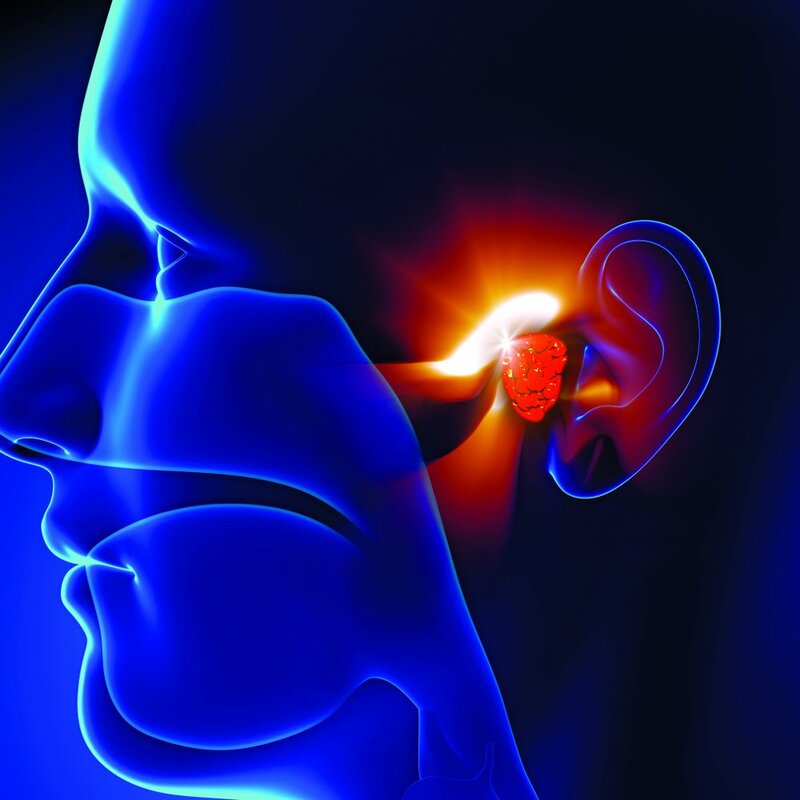 Conductive hearing loss is often the result of ear wax build-up fluid in the middle ear or a perforated eardrum. Because of the nature of conductive hearing loss treatment options usually involve medication first to address the specific cause. 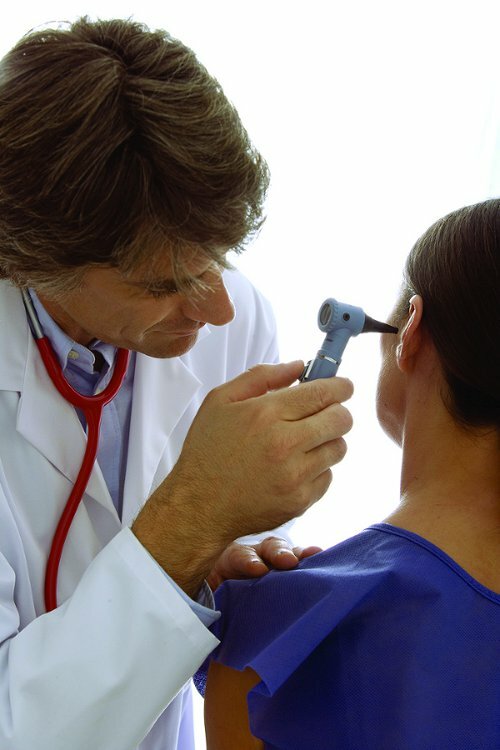 In the event treatment with medicine does not clear up the hearing loss please contact ENT Specialty Care in Goshen NY. Because permanent hearing loss isn’t reversible individuals suffering from it will usually need a hearing aid or amplification device. Sensorineural hearing loss originates in the inner ear and/or auditory nerve and is generally caused by damage to the inner ear hair cells. Because these hair cells do not repair themselves and cannot be medically treated once damaged sensorineural hearing loss is the most prevalent form of permanent hearing loss. If a permanent hearing loss is suspected individuals should seek treatment from a hearing healthcare provider who can help pursue other available options. In fact studies show 95% of cases of sensorineural hearing loss can be improved using hearing aids or cochlear implants. Please contact ENT Specialty Care in Goshen NY for more information or to receive a hearing assessment and possible solutions. When medical intervention cannot restore hearing hearing aids are a viable option for many individuals. Hearing aids can be purchased in a variety of colors styles and sizes and offer different price points based on what features an individual needs or wants. The purpose of a hearing aid is to amplify or make a sound louder. While they do not restore hearing they do improve hearing ability allowing individuals to communicate more clearly and function better. Hearing aids can be worn behind the ear and in the ear depending on a person’s degree of hearing loss and personal preference. If you would like to evaluate your hearing check out ENT Specialty Care's Hearing Difficulty Questionnaire and contact ENT Specialty Care in Goshen NY at (845) 294-0661. To learn more about hearing aid solutions in Goshen NY visit ENT Specialty Care's Hearing Aid FAQs.